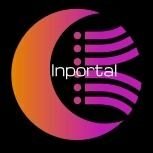 Inportal Entertainment is not responsible for any piracy what so ever. Piracy is illegal and is unnecessary on most of our apps. Most of our Inportal Simple applications are free. Although any copyright of apps is considered illegal. Thank you for reading and enjoy our apps.